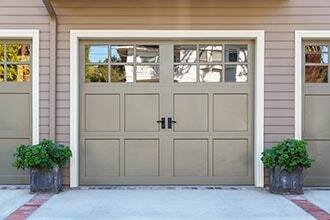 Add curb appeal and property value to your home with a garage addition. If you need extra storage space or just a practical place to protect your vehicles, a garage is the perfect addition to your home. Garage additions are one of the easiest, most affordable renovations you can make to your home, and can easily be designed to blend seamlessly in with your home’s exterior. 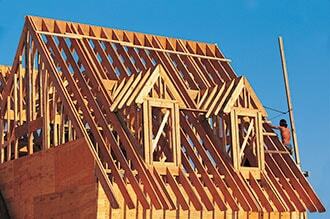 A detached garage can easily be installed without impacting the existing home. These convenient garage additions offer all the practicality of increased storage space, enhanced curb appeal, and increased property value, all with little impact on the footprint of your existing home. An attached garage can be custom designed so it seems like an extension of your existing home. At Magazi-AG, we have more than 25 years of experience as residential remodeling contractors, so you can trust that your attached garage will be flawlessly crafted to meet your needs. Choosing the right garage door for your new garage addition is an essential step that will impact the overall look and feel of the project as much as any other element. We’ll walk you step-by-step through every decision you need to make including choosing from retractable, roll-up, side hinged, sectional, and canopy garage doors. We’ll also help you select a material that will accomplish the design you’re after, whether it be vinyl, aluminum, composite, steel, or wood. The style and material you choose can create a garage that has a more traditional feel, like one with carriage house doors, or a more modern, contemporary feel with newer materials and styles. Most important is knowing that you’ve chosen a remodeling contractor that knows how to work with clients to understand their needs and preferences in the design of their custom garage addition. Mary, the designer, will listen to your vision for garage addition and all of your storage needs. She will work hand-in-hand with her son George, the installer, to make the entire process exceptionally stress-free, efficient, and economical. Homeowners throughout Montgomery, Howard, Baltimore, and Anne Arundel Counties, including the towns of Bethesda, Silver Spring, Rockville, Chevy Chase, Ellicott City, Columbia, Annapolis, Olney, Gaithersburg, Kensington, and more, choose Magazi-AG for their garage addition. When you’re ready to discuss your garage addition, start by scheduling a free consultation with us, either in your home or at our showroom. Call us at 301-913-0286 or contact us today to get started.